Adolescence is a period of elevated stress for many young people, and it is possible that the challenges of adolescence are different for vulnerable groups. We aimed to document the depressive and anxiety symptoms, emotional–behavioural difficulties and suicidal/self-harming behaviours among adolescents with borderline intellectual functioning (BIF) or a disability, compared to those with neither disability nor BIF. Data were drawn from the nationally representative Longitudinal Study of Australian Children. Participants were 2950 adolescents with complete data for waves 3–6 (years 2008–2014), aged 14–15 years in 2014. Anxiety and depression symptoms and self-harming/suicidal thought/behaviours were self-reported. Emotional–behavioural difficulties items came from the Strengths and Difficulties Questionnaire, and were parent-, and adolescent-reported. Results of logistic regression analyses indicate that the emotional–behavioural difficulties of adolescents with either a disability or BIF, were worse than for those with neither disability nor BIF. While adolescents with a disability reported more anxiety symptoms, no clear associations were observed for self-harming/suicidal thoughts/behaviours or depressive symptoms for those with either BIF or a disability. 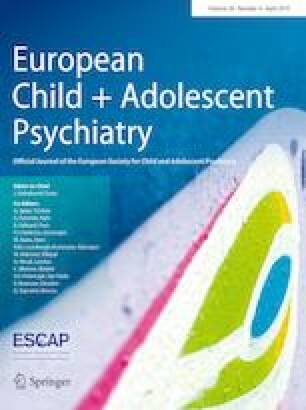 Adolescents with BIF or a disability are at higher risk of poor mental health than those with neither disability nor BIF, and it is vital that factors contributing to these differences are identified in order to reduce these mental health inequalities. The online version of this article ( https://doi.org/10.1007/s00787-019-01278-9) contains supplementary material, which is available to authorized users. This paper uses unit record data from Growing Up in Australia, the Longitudinal Study of Australian Children. The study is conducted in partnership between the Department of Social Services (DSS), the Australian Institute of Family Studies (AIFS) and the Australian Bureau of Statistics (ABS). The findings and views reported in this paper are those of the authors and should not be attributed to DSS, AIFS or the ABS. We thank the children and adolescents, parents and carers, and teachers who participated in the study. This study was funded by a Disability Research Initiative Grant from the University of Melbourne, and an NHMRC Centre of Research Excellence in Disability and Health Grant (APP1116385). The LSAC study has ethics approval from the Australian Institute of Family Studies Ethics Committee. The Ethics Committee is registered with the Australian Health Ethics Committee, a subcommittee of the National Health and Medical Research Council (NHMRC). Written informed consent was obtained from the caregiver on behalf of each of the study children. Data used in this study are not available for sharing due to ethical and data management requirements. The researchers welcome potential collaborations.